The Week in iOS Accessories: CES mania! We've kept you up to speed with new iOS accessory unveilings at this year's Consumer Electronics Show in Las Vegas. But before we wrap up the week entirely, here are some other products that were recently announced. Cirago: Cirago announced a couple of new accessories this week: The $90 Aluminum Bluetooth Keyboard Case will protect your iPad 2 in futuristic style—the folding stand displays the tablet screen in either portrait or landscape mode. While crafted for the iPad 2, the keyboard is compatible with any Bluetooth-enabled device. The NuView Dock Charger is also built for tablet display. Cirago hasn't offered pricing or shipping information yet for either product. Griffin Technology: Added to the list of Griffin products unveiled at CES are two new iPhone mounts for your car. The $40 AirCurve Window Mount lets you mount your iPhone to the interior of your car's windshield, making it easier to use the GPS features of your device while driving. The $40 WindowSeat3 does pretty much the same thing, but mounts the phone on your car's dashboard instead of the windshield. Both items are on sale now. Griffin also showed off a freshening of its PowerBlock line of chargers for iOS devices, which will go on sale this spring. ION Audio: iPhones are increasingly being used for business—even for calls made from your desk. ION's new Phone Station Plus docks your device at the center of a business-style speaker phone system designed for use on conference calls—plus, it can be used as a music speaker system while you're getting other work done. ION also introduced the Road Rocker, a Bluetooth speaker system that streams music wirelessly from your iPhone or iPad. ION has yet to offer pricing and shipping information for these new products. K-Array: This Sennheiser-affiliated brand introduced the $20 EcoDock, a freestanding Plexiglass dock that boosts audio by 10 decibels from the speakers of your iPhone 4S. Not only will purchasing this product amplify your music, it will amplify your charitable giving—proceeds from each sale benefit orphanages in Burkina Faso. QMadix: CES was the launchpad for three new product lines from QMadix. The company expanded its iPhone case offerings by introducing the Bezel, Metalix, Vibe, and Xtreme cases, ranging from $25 to $60. The new $140 Q-i-sound wireless Bluetooth speakers will be available for sale in April. The company also introduced a new line of white iOS charging and data-sync cables, ranging in price from $20 to $45. Padlette: Need to get a better grip on your iPad? Padlette introduced its new DeeFour iPad holder at CES. This handle straps diagonally across the back of your tablet—even when it's encased in skins, sleeves, shells, covers and cases—for ergonomic handling. Padlette says the new product will be available in stores later this year; no pricing information was announced. Samsung: As noted by our friends at AirPlay Speakers, Samsung used CES to introduce its first speaker dock—the new DA-E750 Audio Dock. This dock combines old-school vacuum-tube technology with Apple's somewhat newer AirPlay technology to provide a big, warm sound that streams wirelessly from your iOS device. Bluetooth streaming is also available, along with a USB port to play audio directly over the system. Additionally, Samsung introduced the more compact DA-E670 Audio Dock system. Pricing and availability are yet to be announced. Soul Electronics: Ludacris's brand of audio accessories joined the CES crowd and debuted the wonderfully named Party in a Box, a docking system for your iPhone or iPad. The Party features dual 6.5-inch subwoofers, two 3-inch midrange speakers, and four 1-inch tweeters, along with an FM tuner and a 12-volt accessory outlet adapter for your car—just in case the party is transported to some remote location. The Party in a Box is not featured on Soul's website just yet; availability and pricing information are coming soon. 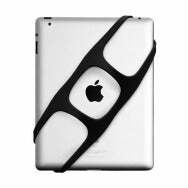 Steelie: The SmartCover proved that magnet-based accessories are safe to use with iPads and pose no threat of scrambling interior electronics, so you shouldn't worry about using the new line of Steelie mobile device holders—first noted by the folks at TUAW. Steelie's products—including the $30 phone kit and the $50 tablet kit—use magnets to gently attach your iOS device to a tabletop, refrigerator, car dash, or other surface. 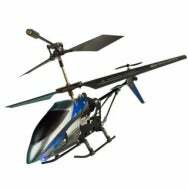 Swann: Like remote-controlled helicopters? Swann introduced three new models that utilize iOS—the $70 iFly Micro Lightning, the $100 Sky Eye (which can shoot photos and videos), and the $100 Black Swann (a "stealth" model that also shoots video). All of these models can be controlled by your iPhone, iPad, or iPod touch: pilots just need to download Swann's free iFly app to their iOS device to control the helicopter. XtremeMac: XtremeMac stayed busy at CES by introducing a range of products, including three new charging docks—InCharge Duo Plus, InCharge X3 and InCharge X5—which are designed to charge two, three, and five iOS devices, respectively, at once. These devices will be available by spring. Also unveiled: The Tango TT, an app-enhanced docking-speaker system for the iPhone, iPad, and iPod touch. It includes multidirectional speakers and its design allows you to display your iOS device screen at a variety of angles; available in the summer.